TOKYO (Sputnik) - Japan's Vice Minister of Foreign Affairs Takeo Akiba called US Ambassador William Hagerty on Saturday to lodge a protest over the murder of an Okinawan woman by a US serviceman. Akiba said he was "extremely disappointed" by the events and asked for US cooperation in the probe and efforts to stop this tragedy from repeating itself. US Ambassador William Hagerty, in turn, expressed his regrets. The statement comes after a man reportedly killed himself after stabbing his Japanese girlfriend to death in an apartment near the US base in Japan’s southernmost prefecture. Many Okinawans oppose the presence of US troops on the small Pacific island due to associated crimes, noise, and environmental damage. The prefecture hosts around half of the 50,000 troops and contractors in the country. Japan hosts a large number of US military bases and personnel across the country and notably in Okinawa. 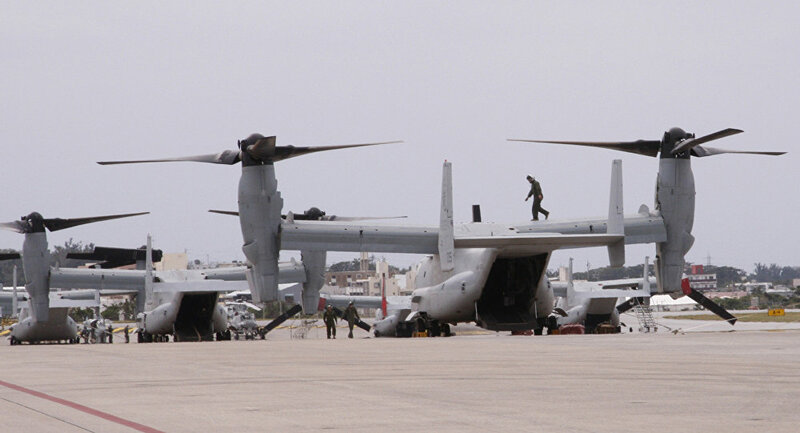 Concerns regarding the operation of the bases have been raised on a number of occasions, particularly in connection with the safety of military activities and inappropriate behaviour of some soldiers.